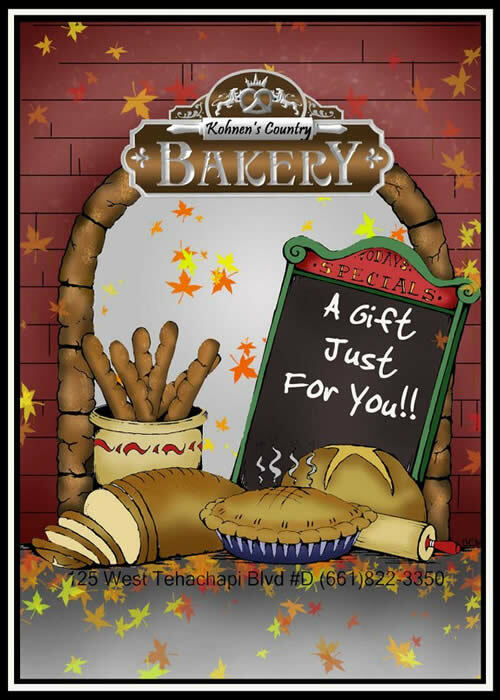 Kohnen’s Country Bakery, located in historic downtown Tehachapi, California, is a delightful contemporary German bakery designed with Old World Charm. Honoring his German food traditions, baker Thomas Kohnen makes every batch from scratch – including some 20 varieties of artisan breads dense with whole grains, full flavors, and crisp crusts. Kohnen’s offers fresh bread baked daily, including crusty rye, basil-barley garden, six-grain, sun dried tomato, delicate cinnamon raisin, and even pizza bread, not to mention pretzels, boiled-then-baked bagels and Brötchen – traditional, crusty German breakfast rolls. Desserts are gorgeous and irresistable, too. 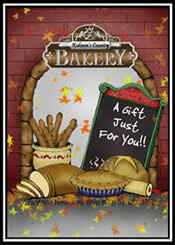 A few temptations are cinnamon crisps, cream puffs and espresso chocolate chip cookies. The cafe also serves fresh-made soups and sandwiches using Kohnen’s breads for take-out, dining inside or on the patio.